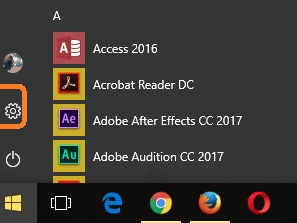 3) The Settings Window will open. 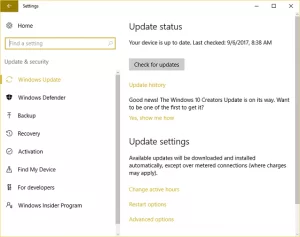 4) Click on Update and Security and then the Update and Security Window will open. 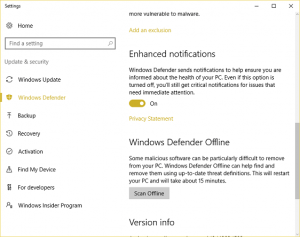 6) On the Windows defender Settings window,scroll down, you will see Enhanced Notifications, it is by default set to ON, to turn off, click on the ON and OFF button. 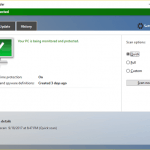 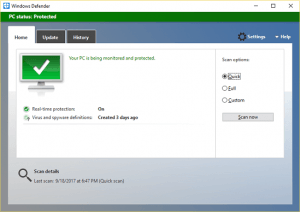 7) On the notification area, expand it and click on the Windows Defender Icon, it will launch Windows Defender. 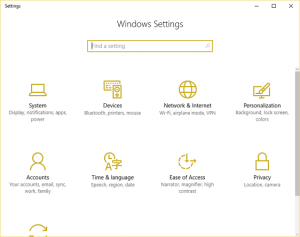 8) On the top right hand corner, Click on Settings. 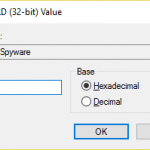 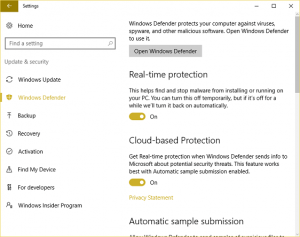 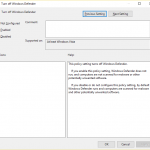 9) On the Windows defender Settings window, scroll down and then you will see Enhanced Notifications, it is by default set to ON, to turn off, click on the ON and OFF button.